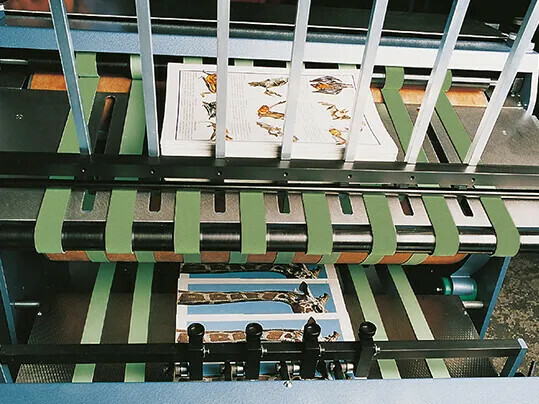 The exact feeding of the sheets into the printer is decisive for the continuous production in offset printing. In addition to the belts with elastomer coating conventionally used for sheet feeders, ever more alternatives with textile, urethane or soft-polyamide surfaces are being used. Thanks to its optimal load/extension ratio and that it is unaffected by ambient conditions the E line does not require any re-tensioning even after long periods of operation.